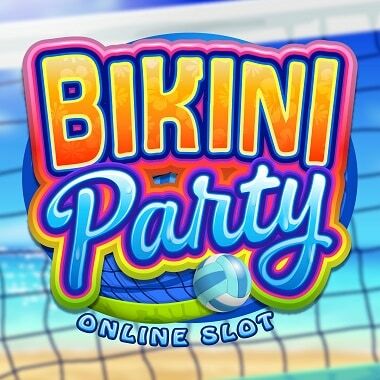 Bikini Party – Microgaming Casino slot with free spins! Are ready for some hot women, some hot action and some hot wins? Bikini Party is a 5×3 reel slot lives up to its name and delivers on its promises on providing players with a fun and memorable playing experience. The slot also offers numerous features that will set your pulse racing in expectation of hot wins. This light-hearted slot is centred on 5 gorgeous, bikini-clad, beach volleyball-playing women called Kiki, Daisy, Kitty, Honey and Sunny. Every one of these girls has her own particular charm and character, and they have a different coloured bikini. The backdrop of a sun-baked beach and turquoise-melting ocean and waves perfectly sets the scene, bringing the player directly into this fun setting. The combination of a catchy soundtrack with pop undertones further creates a tropical paradise vibe. In the base game, the Reel Respin feature allows players to individually respin any of the Reels at an additional variable cost. Players can spin the single reels as many times as they like, until they change their bet or trigger Free Spins.